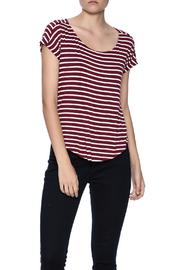 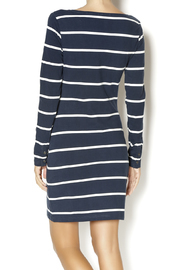 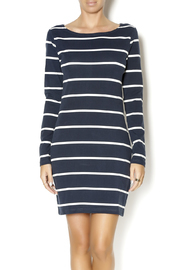 Navy and white nautical stripe tee dress with long sleeves. 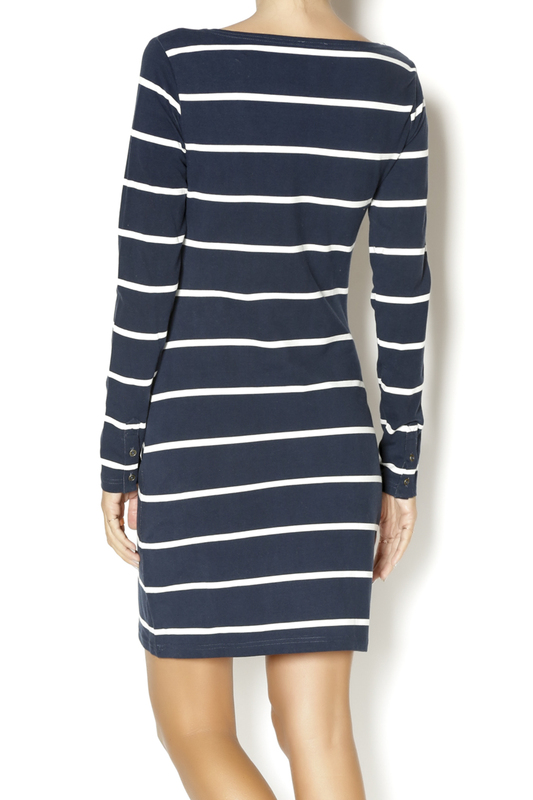 This comfy dress will be your new go to on lazy days. 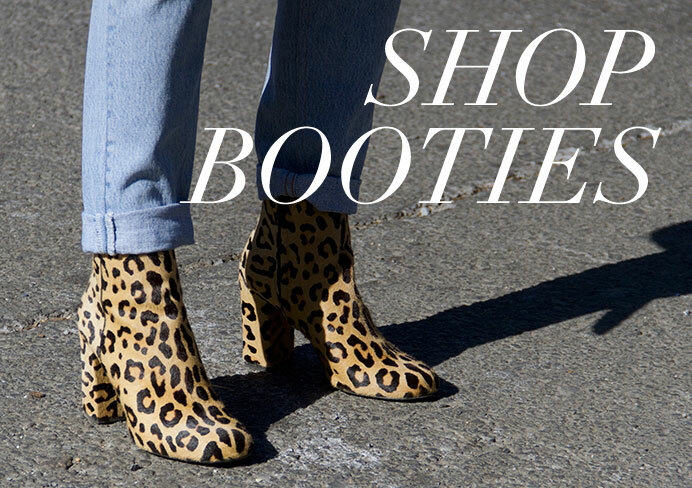 Throw some sneakers on and you're good to go.